GOES-16 was launched on November 19, 2016 and is now the operational GOES East weather satellite. Named GOES-R until reaching geostationary orbit (22.361 miles), GOES-16 is the first of four satellites in the GOES-R series of Geostationary Operational Environmental Satellites (GOES) that will monitor Earth's western hemisphere. 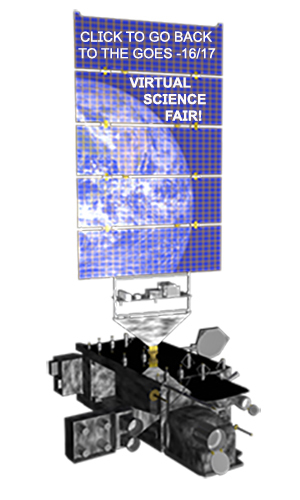 The primary Earth-observing instruments on GOES-16 are the Advanced Baseline Imager (ABI) and the Geostationary Lightning Mapper (GLM). GOES-16 data became operational in June 2017 so projects for this virtual science fair can apply GOES-16 data from that month forward. Any project that uses GOES-16 imagery before then must include mention that the data is preliminary and non-operational.